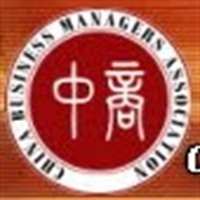 China Business Managers Association Ltd offers national certification to business manager’s qualifications in Hong Kong. We provide training and education programs to the highest standard and doctorate level with support from world known universities and our association. We also present awards and recognition to the outstanding achievements of our members and people in the society. The ??? ?is the highest honor awarded by the university to the individual for their valuable contribution to the community, society and their way of thinking towards the world. This honor is also for those who have given exceptional performances in the academics in the universities or local community. We give honorary doctorates to the individuals in the five fields which are Honorary Doctor of Laws, Doctor of Honorary Literature, Doctor of Honorary Science, Doctor of Honorary Theology and Doctor of Honorary Social Sciences. We are fully supported by recognized university out of which some are even listed on UNESCO. We also provide Honor DBAto students in Hong Kong and China where they have to first check the admission requirements before moving on to the next step. All the students who want to take admission in DBA need to complete their MBA first even if they have experience in the management field.Apart from the MBA degree, students should at least have two referees – one from the professor who knows the student’s academic ability and another one from the company’s management. We have the tie-up with the St Clements Universitywhich is a well-known university in Europe and British territory and also has arrangements with the American universities which are accepted fully globally. You can even transfer your degree to a documented degree through our different projects and can apply for studies or Honorary Ph.D. and DBA anywhere from America and Europe universities. You can visit our website to get more details about us. Get in touch with our representative for a free personal interview.